Investment Opportunity or Holiday Destination"
This is your opportunity to invest on Thesen Islands, in an upmarket apartment on first floor, with views across the lagoon. 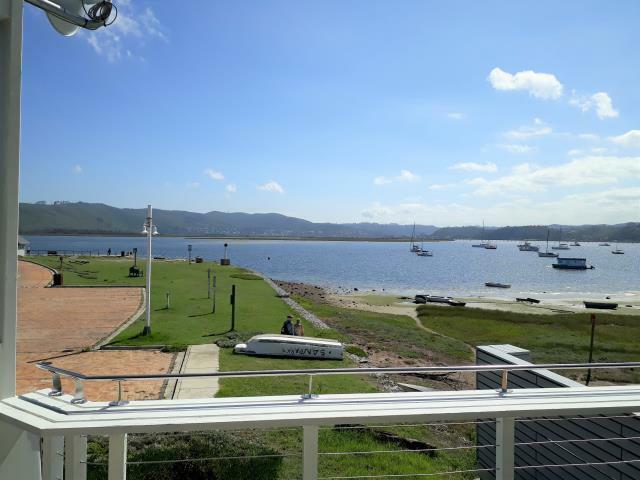 This property is operating as an exclusive guest house with open plan living areas, 5 en-suite bedrooms, spacious balcony with built-in braai and exquisite views over the lagoon and Knysna yacht harbour. All bedrooms are north facing and sunny. An ideal lock-up-and-go with cafés, restaurants and shops within walking distance.